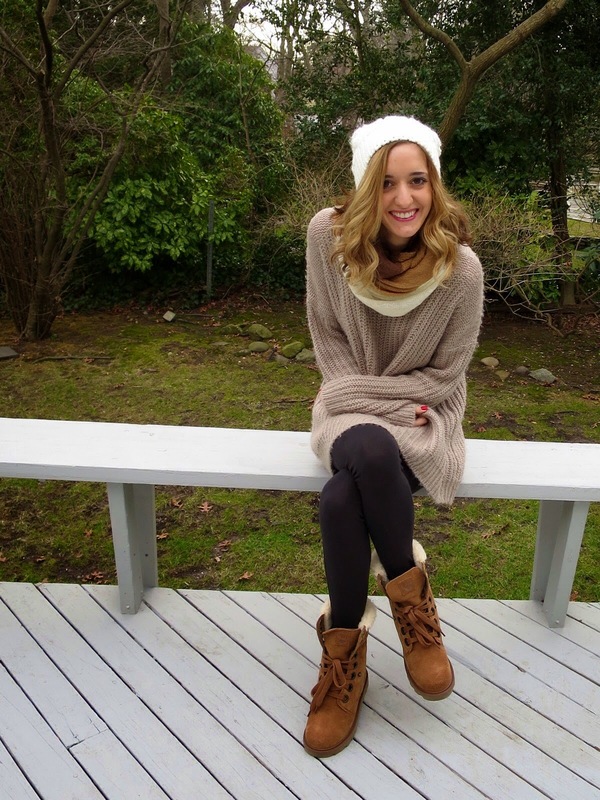 Cozy, warm boots are one of my top essentials for winter & nothing is beating my BEARPAW boots this season. These are the perfect, easy, casual, weekend boot when paired with a large sweater & some warm weather accessories. Made like a hiking boot but warm like a snow boot, these boots have not even had the chance to make it into my closet because I have been wearing them every time I leave the house! Me too! They are so comfortable! Love how cozy and cute this outfit is. The cream beanie was a perfect addition. You look so adorable in this! Love those boots! They look so cozy, but still chic and doable for everyday! They are! Perfect for running around all weekend! lovely outfit!<3 those boots look very cozy, indeed! They sure are! I wore them all weekend! Those boots are so cute! And they look super warm too. Love that sweater - I've yet to find the perfect oversized sweater...this one looks perfect! Thank you! Forever 21 has the best sweaters! Such a cute casual look and those boots look perfect for the cold weather while you still look fashionable. They are SO cozy - perfect for the freezing weather! This whole outfit is so cozy and effortless looking! I love the sweater. Great colour, and it's a lovely fit. Thank you. These boots are perfect for cold weekends! Love how comfortable yet cute this outfit looks! That sweater looks especially cozy :) Great look! Thank you! I've been living in looks like this one. Tooooo cozy- love it! I have that same sweater and it's seriously SO soft, right? Gorgeous! It's awesome! I love the oversize fit of it! Thank you! The whole outfit was so warm & comfortable. I really like that sweater and the boots match so well. Thanks for linking up at Who's Wearing What Wednesdays at Pastries, Pumps and Pi! Thanks Tameka! I loved how the boots looked with similar shades of beige & brown!